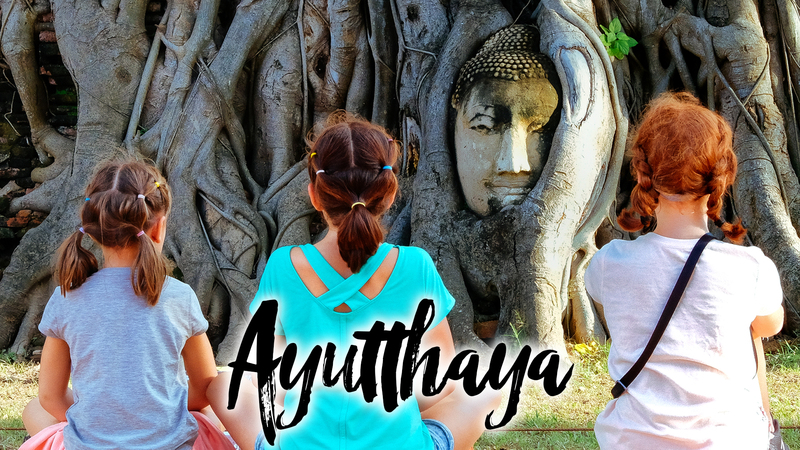 More temples, Kulen Waterfall/Mountain, Beng Mealea, and frog legs, what more do you need to fill up 5 minutes of our travel vlog. We had a handful of other smaller temples to explore near Angkor Wat and we were getting a little “templed” out at this point. The heat and humidity was also quite a drain on us as well, so, before we completely lost our kids enthusiasm. We decided to switch it up a bit and head out of Siem Reap. A little over an hour away is Kulen Waterfall and Mountain. Both locations that are a bit of the typical tourist track, which was nice. The waterfall was filled with locals, which was really interesting. Especially seeing how they socialized and enjoyed their day off. After the waterfall, we headed up the mountain. There was activity everywhere, with loud local music, chanting, and even gongs. At the top of the mountain, a reclining Buddha was carved, where locals prayed and left other donations. We were surprised at the lack of tourists, as it was really interesting. We wrapped things up at Beng Mealea, which is my personal favorite temple. Over the years, more barriers and planned pathways have popped up, but there is still plenty to climb around on. I was trying to wrap up Cambodia in one final vlog, but it was getting a bit too long, so one more video before we move onto Luang Prabang!